Move your channel and business forward by representing and promoting your brand in the media. Find out how to prepare for your interactions with the media to deliver your story. As you build your channel and related business, you’ll want to look for ways to promote them. More and more, creators are being featured in the media—and it's a great way to introduce yourself to a wider audience. Before engaging with the media, consider your brand strategy. Good branding can help your channel stand out. Also, the ability to explain your brand clearly and succinctly can help you pitch your ideas effectively. Think about who you’re trying to reach with your story and what media they typically consume. Media coverage can allow you to expand your brand as a credible, influential source to your potential audience and help you grow your business. Try researching media outlets (like category-specific websites, blogs, magazines, podcasts, etc.) that would be a good fit for covering your business. 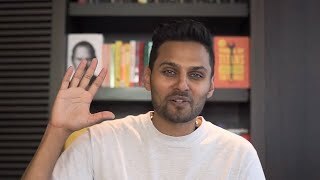 Jay Shetty speaks with Tubefilter about his channel, on which he shares his perspective as a life observer and behavioural economist. 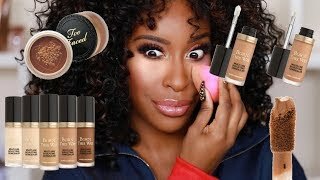 Allure interviews Jackie Aina, who won a “YouTuber of the Year” award from the National Association For The Advancement Of Colored People (NAACP). Whether a reporter reaches out to you, or you pitch your story to a media outlet, you’ll want to be ready for the conversation. These tips can help you communicate your messages more effectively. Be prepared. Understand the terms of engagement before you speak with the media. Consider what angle the story will take, what questions the reporter would like to ask, and whether or not the interview will be recorded or on the record (meaning that anything you communicate can be published). It may also help to practice telling your story before going into an interview. Think about the key messages you want to communicate to your audience, and consider developing a strong opening. Have concrete examples to back up your points. Know your stuff. Be ready to highlight your areas of expertise. Communicating knowledge about your content genre can help you gain credibility. Tailor your message. No two media outlets are identical. Try tailoring your message according to the news organization, format, types of questions asked, and target audience. Be yourself. Talk like a regular human and reflect who you are as a person and creator. It’s your authenticity that helped you build your channel, so don’t try to be somebody else in front of the media. Be professional. As a creator, you may be treated like a public figure, and it’s important to conduct yourself professionally. Your biography—a little bit about yourself and why you pursued your career. Key facts—channel subscribers; business metrics that you’re OK with sharing. Images—high-resolution shots of you, your channel icon, and your business logo. Samples—links to past interviews, your website, and a few of your top videos. Areas of expertise—list of subjects that you’re qualified and interested to speak about. Remember, if you’re contacted by a reporter, you’re not obligated to speak with them. If it’s not the right opportunity for you, you can politely decline. If you decide to participate in the story, be considerate of the reporter’s deadline and ensure they know the best way to contact you. Don’t be a “diva”—act professional. Know your channel facts and statistics. Try to be friendly and memorable. Think about your ideal story headline. Ask yourself why readers should care. Try to avoid jargon or vague language. Like many people, you might get nervous about being interviewed. Relax—some basic preparation can give you the confidence to perform well. First, it helps to find out why you’re being interviewed so you know the expectations. Try asking the media outlet what’s the overall objective of the story, who will conduct the interview, and who else will be interviewed. Although you don’t want to sound scripted, it’s OK to rehearse your go-to introduction—who you are, what you do, and how you position your brand. Be aware of your body language, especially for an on-camera interview. Try smiling, using natural gestures, and maintaining eye contact with the reporter. Moderate your vocal tone—volume, speed, and pitch—to be conversational. How you articulate the words can be important also. Prepare a strong closing—a quick summary that reiterates your point of view. This can help wrap up the conversation with your main message. What can you do if you face some tough questions? A good guideline is to listen carefully to the issue, acknowledge that some people may have that opinion, and try bridging the conversation to the key messages you want to deliver. For example, you can use phrases such as “I wouldn’t put it quite that way, but…” or “I see your point. It’s also important to remember that…”. Use language that matches your style. Try not to speak on behalf of anyone else (unless they’ve agreed to it). Also, try to avoid speculating—if you don’t know the answer to a question, it’s fine to say that. If a reporter asks you to speak “off the record,” confirm the ground rules because you wouldn’t want something you say privately to show up in the public domain. One last tip: after the interview is over, if something didn’t seem clear, it could be beneficial to follow up and clarify any points. Once the interview comes out, check it out and, if it can help you promote your business further, add it to your portfolio! From your webcam: set up your shot, be sure you’re well-lit, and avoid distractions behind you. For radio: repeat key messages (in case listeners drop in and out). For TV: Ask the coordinator about all the logistics, arrive early, and be aware of your body language.